This berry flavored, gluten free fiber powder contains an ideal balance of soluble and insoluble fibers, with emphasis on soluble fiber, which is very hard to get from common diets. 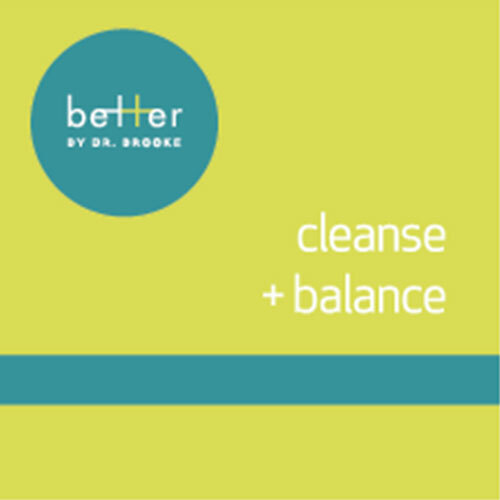 cleanse + balance Is a combination of natural fibers derived from fruits, vegetables, roots, seeds, and tree extracts with added friendly bacteria and prebiotics. This product was designed with the features of the Paleolithic Diet in mind and Is sweetened with xylitol. cleanse + balance is a great product to aid in elimination of excess hormones thus is ideal for PCOS, menopause, women on hormonal birth control or hormone replacement, Or it can be an excellent craving buster as it keeps blood sugar more normal. It is also excellent for anyone looking to get more fiber in their diet. Tastes great mixed in water or can be added to protein shakes to make a more balanced “meal”. Ingredients: Fibregum Tan Acacia Gum, Creafibe Cellulose, guar gum, cranberry seed powder, carrot fiber, inulin, citrus fiber, apple pectin, glucomannan, psyllium husk, flax, prune, Lactobacillus Acidophilus La-14 (7.5 billion CFU/serving) and Bifidobacteria Longum (500 million CFU/serving). Other Ingredients: natural berry flavor, stevia (leaf) extract and talin. Recommended use: As a dietary supplement, take 5 grams (approx. 2 teaspoons) as needed per day, Or as directed by your health care practitioner. Increase dose gradually to develop a tolerance to high fiber intake. Consume extra water taking cleanse + balance.